Current status  Farm that has been operated by the Norris family for over 100 years (4). Joseph de St. Julien received a Kings Grant (4). 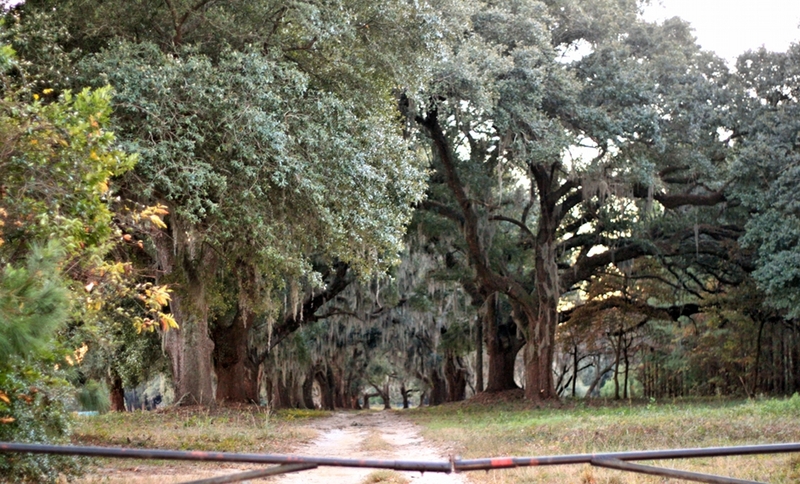 It is believed Thomas William Porcher built the house at St. Julien Plantation for his son Julias Theodore Porcher (1, p. 2). 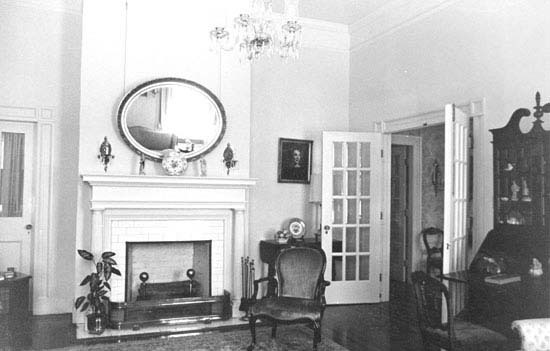 Circa 1926  Frederick Keating Norris Sr. was owner and worked to rehabilitate the house (1, p. 5). 1980  Fred K. Norris Jr. was owner (1, p. 1).
?  Robert Norris became owner (4). Primary crop  Historically, cotton and corn. Today, peanuts and peaches (1, p. 3) and (4). 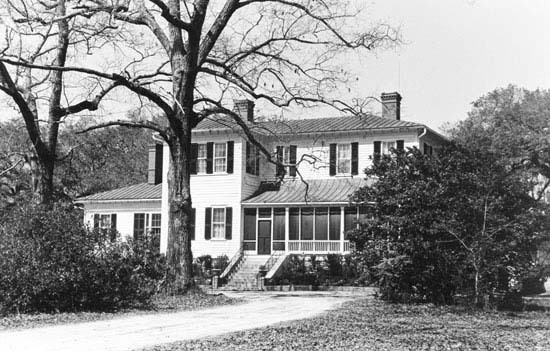 The plantation house is L-shaped of two-stories with a one-story wing on the west. In 1980, original outbuildings including a mule barn, kitchen, and smokehouse were still standing (1, p. 2).